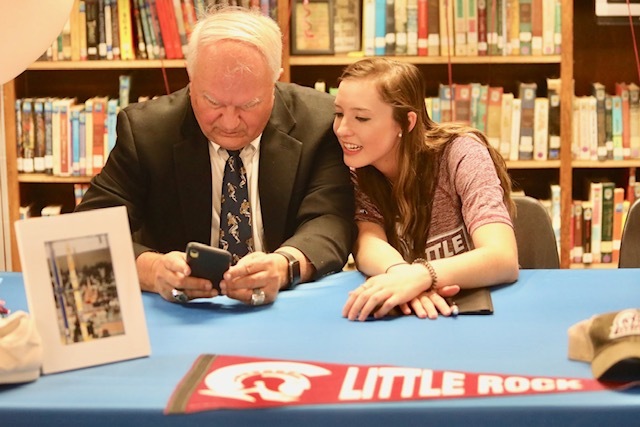 Pleasant Valley’s Brenna Harris (R) checks congratulatory messages with club coach Robbie Robertson after signing a track scholarship with Arkansas-Little Rock. Harris is the reigning Calhoun County girls high jump champion and Class 3A state runner-up in pole vault, her two events at UALR. 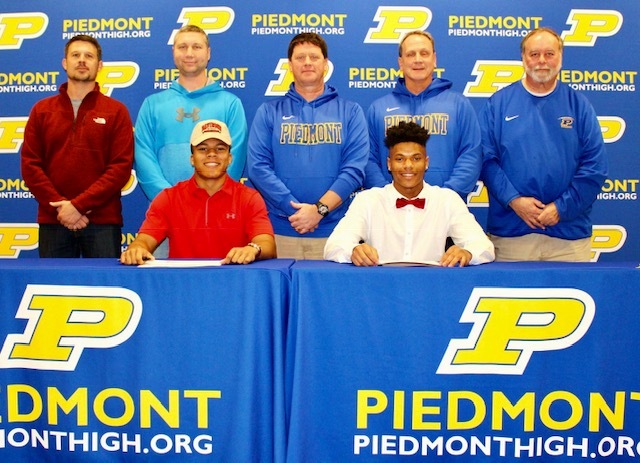 Piedmont defensive backs Kaedon Jenkins (front left) and Carl Myers (front right) celebrate their college signings Friday. Jenkins signed with Davidson, while Myers signed with Southwest Mississippi CC.